(The Root) — President Barack Obama's strong defense of freedom of speech at the United Nations last month was clearly directed at the sputtering young Arab and North African democracies, where violent anti-American protests were ostensibly sparked by a video (Why don't people stop calling it a film?) that insulted the Prophet Muhammad. The president's tough speech followed his late-night call to Egyptian President Mohammed Morsi, demanding that he get control of the demonstrations by alleged radical Islamists. The big stick that President Obama wielded was America's huge aid to Egypt. And presto, the Egyptian president complied. The same tactic could be used in Ethiopia, where not only is the new leadership continuing the previous government's ongoing repression of independent journalists — including those imprisoned on specious charges — but it is getting even more repressive. According to the U.S. State Department: "The total U.S. government assistance, including food aid, between 2000 and 2011 was $6.226 billion. In FY 2011 the U.S. government provided $847 million in assistance, including more than $323 million in food aid. Today, Ethiopia is an important regional security partner of the United States." 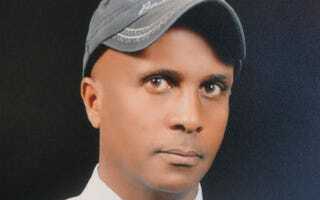 It is hard to imagine that the U.S. government condones the widely condemned treatment of Ethiopia's independent journalists, including Eskinder Nega, recently sentenced to 18 years in prison on spurious charges of terrorism that were actually nonviolent criticisms of the increasingly repressive Ethiopian regime. Now, in the last few days, the Ethiopian government has frozen Nega's meager assets, along with those of two others in prison with him: Andualem Arage and Abebe Gellaw. It is also hard to imagine how Nega's wife, Serkalem Fasil, who was once imprisoned with him, and their 7-year-old son, who was born in prison, can manage now. And without a car, how will she get to the prison on the outskirts of Addis Ababa to visit her husband and take him much-needed nutritious food? Money talks in every part of the world, including Ethiopia. The following essay by Nega, whose release I have advocated for with Ethiopian officials, is just one more chilling example of the need to include Ethiopia in the president's demand for what is called for everywhere: respect for freedom of speech. Rush, rush, rush. Time is flying. The article has not been finished. Write, edit, delete, write again, revise; it doesn't have end. Two hours left. The last minutes are for coffee. Alas! Friday is like that for me, for the journalist. I have appointment on Friday morning with Ethiopians who reside Washington, D.C., via Skype. I am rushing to be on time for my appointment. Other Ethiopian Diaspora could meet me anytime. I log out my email and stand up. It is hard to sign in and out of a simple email window. Fast broadband Internet gave birth to the North African revolution, and now the revolution-phobic EPRDF-led Ethiopian government [Ethiopian People's Revolutionary Democratic Front] is struggling against fast Internet access. As the Ethiopian proverb goes, "Clueless dude will marry a pregnant woman"; EPRDF is trying to dry the source of revolution out of frustration, and fast Internet and social media are targets. Read the rest at Warscapes.